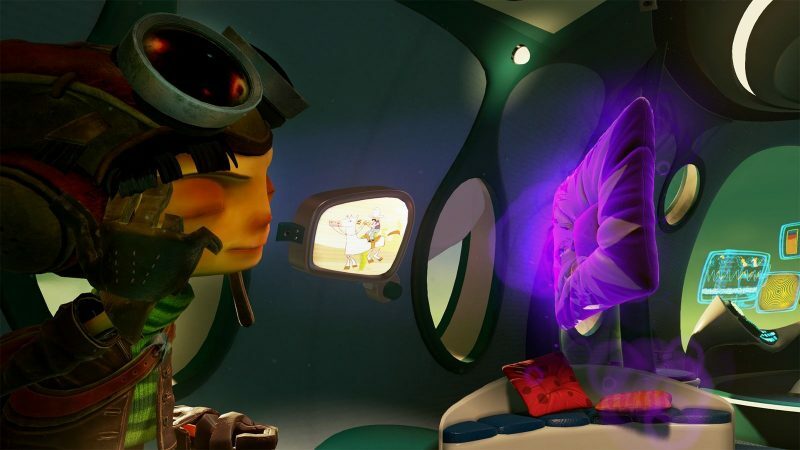 "Raz goes on a VR mission before the long awaited sequel"
The return of Psychonauts has been a great to see for Double Fine. Psychonauts 2 is still being worked on, but PlayStation VR folks do get a treat with the Rhombus of Ruin. Those that pre-ordered the game got the original game for free despite being the PS2 version. As someone who missed out over a decade ago, I'm excited to see why it's still a beloved game. In the meantime, Double Fine released a bridging gap between the original and the sequel. 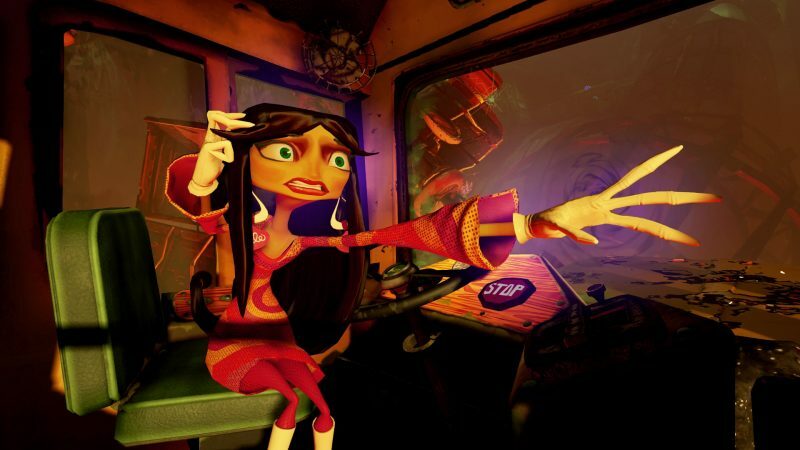 The PSVR-only Psychonauts in the Rhombus of Ruin is a fun, short romp that has the classic Double Fine charm at it's finest. Rhombus of Ruin takes place after the events of the original Psychonauts. Raz has to save the leader, Truman Zanotto, from a mysterious place that is this game's sub-title. Platforming takes a backseat for a more point and click VR adventure focus. Raz has to rely only on his psychic powers to rescue Truman. At the start he only has Clairoyance where he teleports to other characters' minds. He does gain his other powers as you progress. Clairoyance is basically the main form of traversal in the Rhombus of Ruin, but Raz also has telekeneis and pyrokinesis to solve certain puzzles. There's no direct movement but teleporting from character to character makes sense for the sake of VR. Speaking of PlayStation VR, Psychonauts's art style shines inside the headset as well as some moments that use scale. Controlling Raz around felt fine and it wouldn't felt special without VR. The puzzles are not that hard to solve and probably a bit basic for some. The whole game is about two hours to beat, which is not surprisingly short. Chapters can be replayed to clean up on trophies if you missed any. Other than that, the replay value isn't much in the Rhombus of Ruin. Double Fine's signature writing and charm with the character interactions is what you expect from their games. Psychonauts in the Rhombus of Ruin is no exception. Fans will be delighted to see Raz and crew back again on this short adventure keeping the excitement high for the sequel. There were moments I laughed a bit and looking forward to see what's next for them. As mentioned earlier, the visual style works well for VR and no need to make these characters look significantly different. While this bridging gap is $20 especially for a two hour adventure, returning to the world of Psychonauts is a great sight to see. Asssuming fans have a PlayStation VR, it's nice to see them reunited with a beloved cast of characters. The point & click approach works well for VR despite the puzzles being a bit simplistic for some. Being a newcomer to the series, I'm excited to see how crazy Double Fine can go with the sequel and play through the original. If you're someone itching to play more new stuff on PlayStation VR, Rhombus of Ruin is worth checking out.